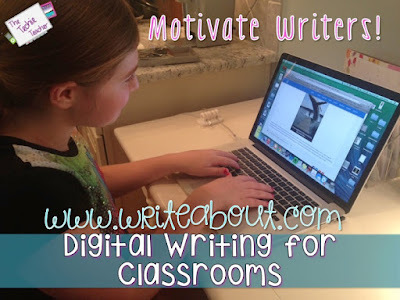 Write About: Digital Writing for the Classroom | The Techie Teacher® . There is also an option to sign in with a Google account. They write a response, can record audio reading their piece (Extra proofreading? YES, please!) and post for a specific audience to read. If I were the teacher then I would require the child to record themselves reading their post since often times they don't catch their mistakes when reading in their head. Heck, I can't even catch all of MY mistakes when proofreading! 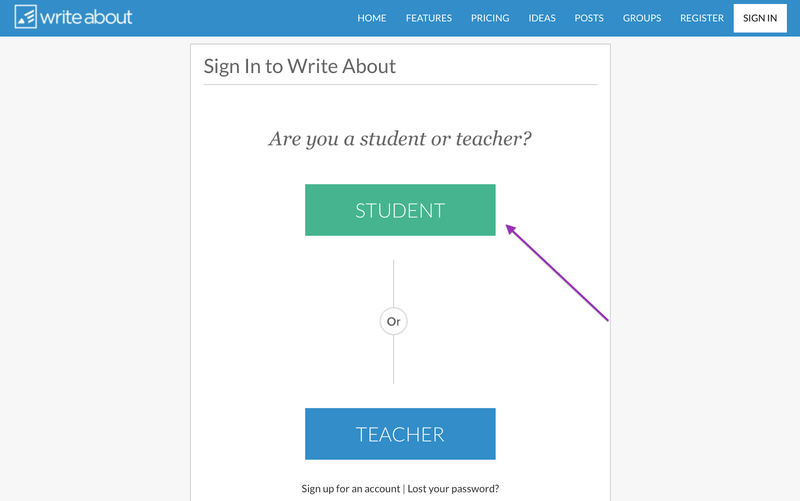 Write About has a ton of INTERESTING leveled writing prompts students can choose from. Students also have the option to create their own piece from scratch. 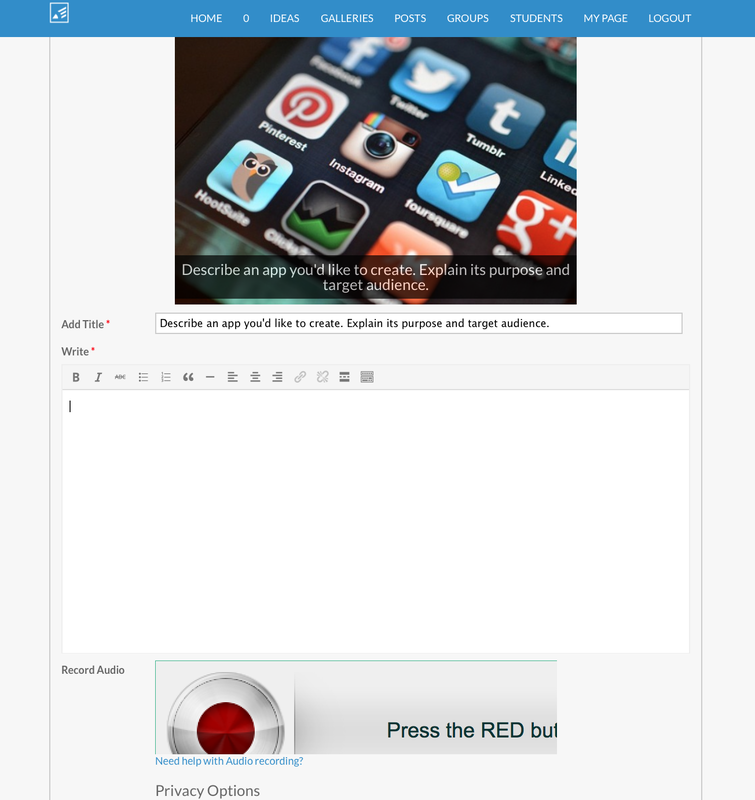 They can even add their own image or photo! I REALLY like how the site makes the kids give credit to images that they do not own. Students can receive annotated feedback on their drafts from their teacher. The posts can be viewed publicly, privately or by a specific group. 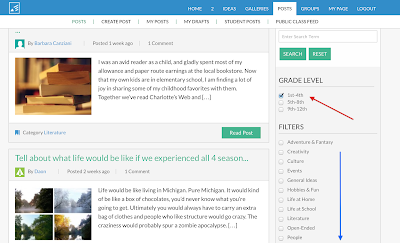 Other readers can comment on the student's posts. The kids absolutely LOVE when they receive a new "message". 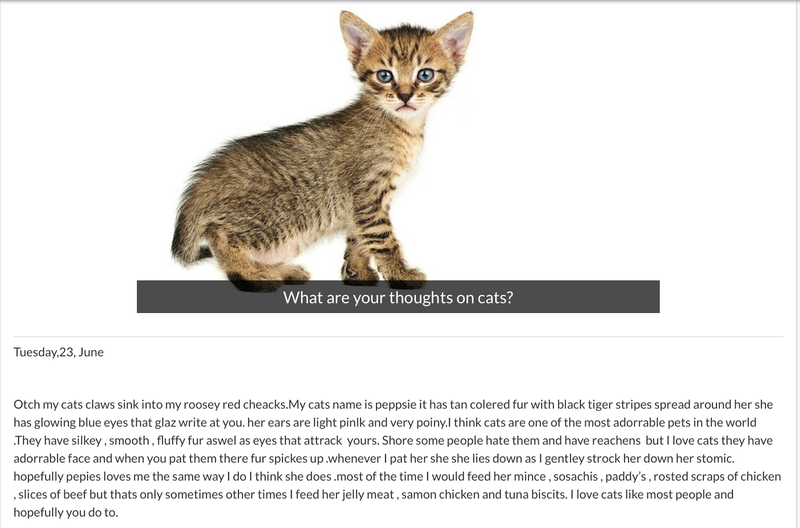 Write About could also serve as a Read to Self center. Students can filter posts by grade level and topic. Of course, like most online tools, there is also a paid version. 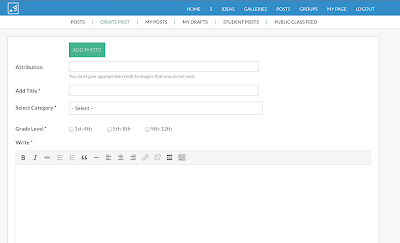 However, the FREE version will give you 40 student accounts that will allow for 5 posts each. You maybe thinking that five posts doesn't seem like a lot but we know that an upper elementary child needs to change things up so they don't get "bored". That's why teachers are constantly having to change up their writing center...KEEP THE INTEREST and MOTIVATION going. 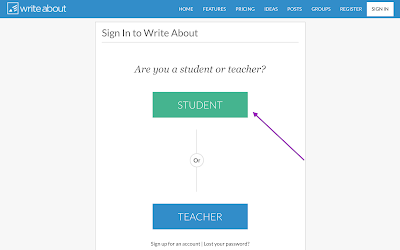 Try this out for a few weeks then head over to Google Drive. It NEVER hurts to dabble in different programs to see what works best for your kiddos. 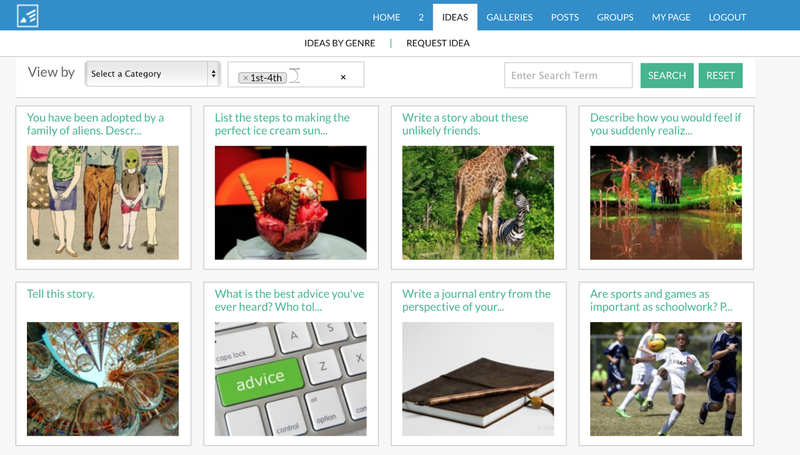 Have you used this with your students? I would love to hear what you think! I just heard about Write About for the first time earlier today. It sounds wonderful! 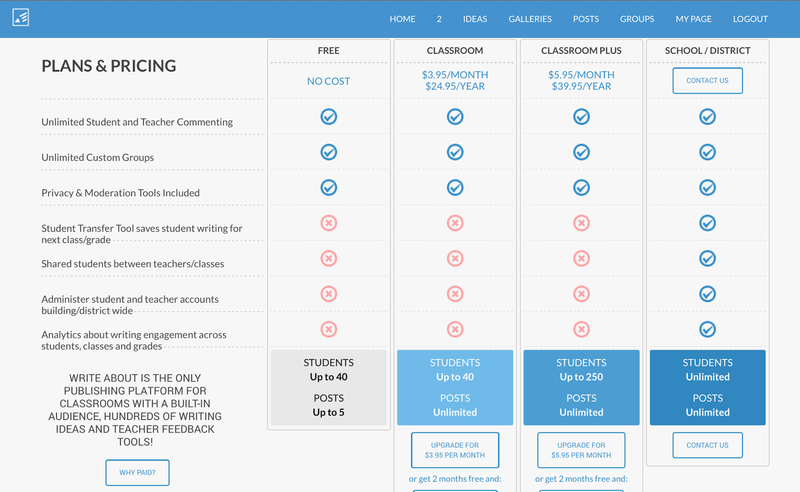 It looks like it has some fun writing prompts, and the ability to write to a larger audience would definitely be motivating to students. 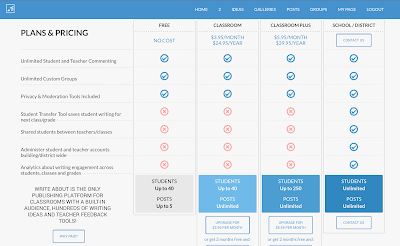 I agree, it is something that you could make work for a limited time so that students do not get bored with it. 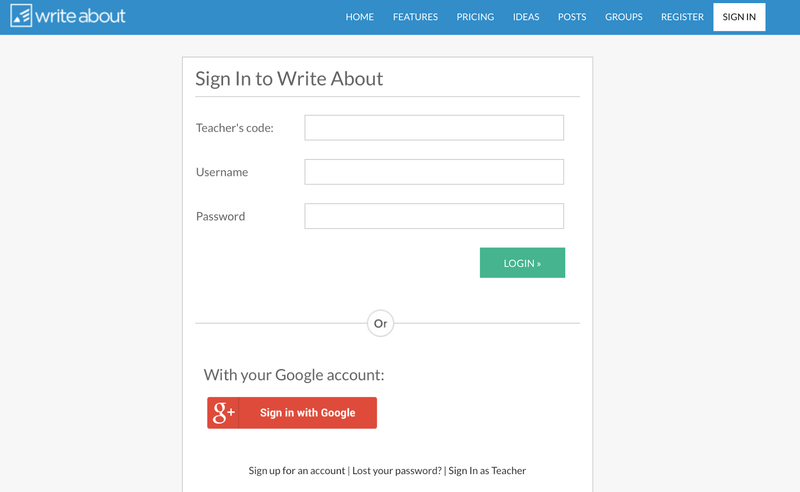 I will definitely be signing up for this awesome resource! 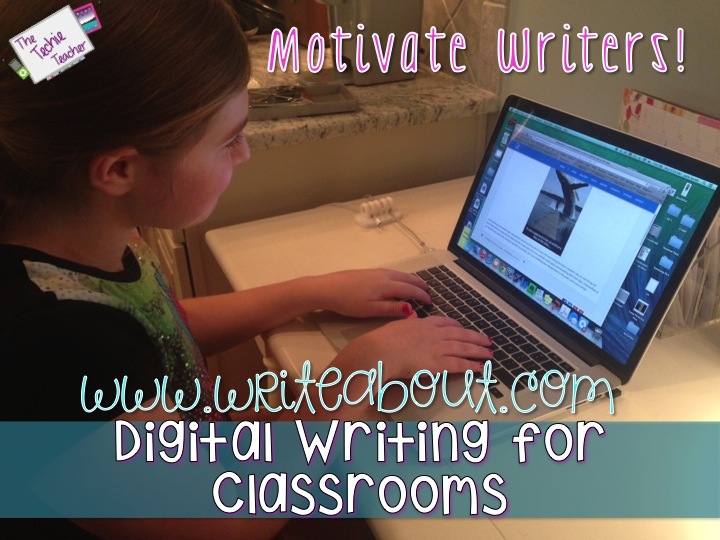 Thanks for sharing this wonderful writing resource! I am going to try it out when school starts back. Looking forward to it!